This year you will see a new UNE vehicle on the road. The UNE Discovery Voyager team has just taken delivery of their own Isuzu 4.5-tonne truck to transport them on their school activity trips. The truck has been fitted out with shelves and storage areas so that our enthusiastic educators will have all their science activity equipment, tools and props right at their fingertips. This will make the unloading, set up and end-of-day pack up so much easier. 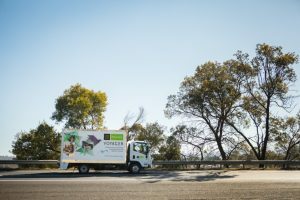 Keep an eye out for the Voyager truck while you’re on the road and let us know if you’ve spotted it in your travels.